If your Accord fails to stop or your brakes are malfunctioning, it may be time to order Honda replacement brake calipers from All Discount Parts. 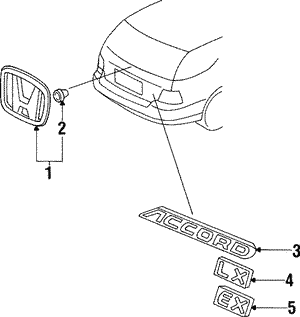 We have a wide selection of OEM replacement parts for your Honda regardless of the year or model, and we can ship them directly to your location at our low wholesale prices. When you step on the brake pedal in your car, it sends hydraulic fluid through your pressurized brake lines. 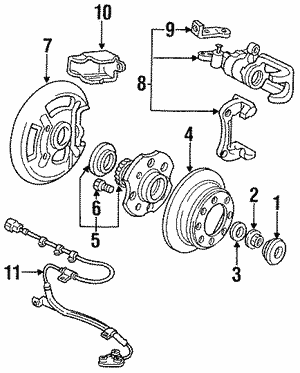 The force this creates causes the calipers to close, pressing your brake pads against the rotors on your wheels. This process is what brings your vehicle to a halt. In the event of an emergency, this needs to happen quickly and with enough force and control to avoid colliding with an object or another vehicle. Bad calipers, whether worn or damaged, will most likely malfunction, putting you and your passengers at risk of serious injury. 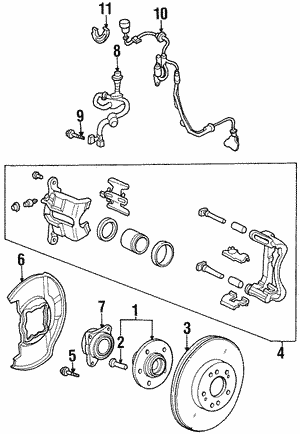 When Do I Need Replacement Brake Calipers? Locking – If your brakes lock up and don’t release, it’s a good bet that your calipers aren’t working properly. Leaking – Leaking calipers cannot hold enough hydraulic pressure to function properly and could fail in an emergency. Lack of Pressure – If pressing on the brakes gives little or no brake pressure, it’s a sign of faulty calipers that aren’t doing their job and won’t stop the car when you need them to. If your Honda Accord isn’t stopping like it should, replacement brake calipers could be the answer. Our parts center at 6025 Arapahoe Rd. in Boulder has quality, OEM replacement parts your Accord needs, and we can deliver them right to your door. Contact us online or by phone at (800) 651-4832 for help with your order now.